As “Anadolu Meraları”, the Savory Hub in Turkey, we are happy to organize this training in our 2017 regenerative agriculture education program. The registration for this training is open to both Turkish and international students. This year’s training will be held in 2 sessions. The first session will last 5 days, and the second session, right after will focus on practice of microscopy and living soil product applications. Köyceğiz is a nice, small town next to Köyceğiz Lake and near the Mediterranean Sea. Transportation is very easy with international Dalaman Airport (to which there are a number of flights everyday from Istanbul and foreign cities) that is 20 minutes by car. The region offers very strong and diverse natural and cultural wonders. We will introduce you to the cast of characters that make up the Soil Food Web (SFW). By the end of this lecture you will understand the symbiotic relationship between plants and soil microorganisms. You will understand which microorganisms you’re growing system needs to thrive. You will understand how to establish a growing environment that increases and maintains SFW population for plant productivity and disease resistance. This day’s lecture will cover aerobic thermal Compost, static Compost, and Vermicompost. We will discuss the basic rules of these methods and how to ensure that a beneficial SFW is being cultivated. As a group, we will creat an aerobic thermal compost that will be monitored each day for the duration of Session 1 and Session 2. We will also create an aerobic thermal static compost to be used in one years time. Each morning for the rest of the course will be spent monitoring and turning the compost we build. A continuation of the discussion of compost methods will be combined with ways to monitor the compost processes to assure a finished high quality product. We will discuss how to make and use compost amendments such as humic acid, Compost extract, and aerobic Compost tea. The second portion of today’s course will delve deeper into knowledge of the soil food web by learning how to identify them using the microscope. This day will include lessons on how to responsibly use a microscope in addition to viewing of photos and videos of soil food web organisms to understand their morphology and habits. This days course will be a continuation of identifying soil food web organisms combined with time spent on the microscope for learning integration. We will look at various composts and soils student have brought with them. (Bring your Compost and soils – international students – take a trip to the woods or take a walk and gather samples to bring to the class, find a gardener at the market and ask for some of their compost or soil). We will revisit sampling and identifying organisms. This is a skill that takes time, practice, and patience. The spreadsheet for a qualitative soil analysis will be introduced. The duration of the day will be spent doing soil and compost analysis using the microscope and spreadsheet. A discussion on the data gathered will allow for determining action plans to create a better compost or soil system. *Students should bring a laptop on this day for successful learning integration. It is important to do field monitoring to know if the inputs for a growing system are getting desired results. Monitoring to take place in the fields will be (but not limited to): Water infiltration, root depth, compaction, brix readings, soil biology, plant species diversity, soil armor, and fixed point photography. Students will receive data sheets for the monitoring practices. We will establish control and test sites for biological applications in the following days. 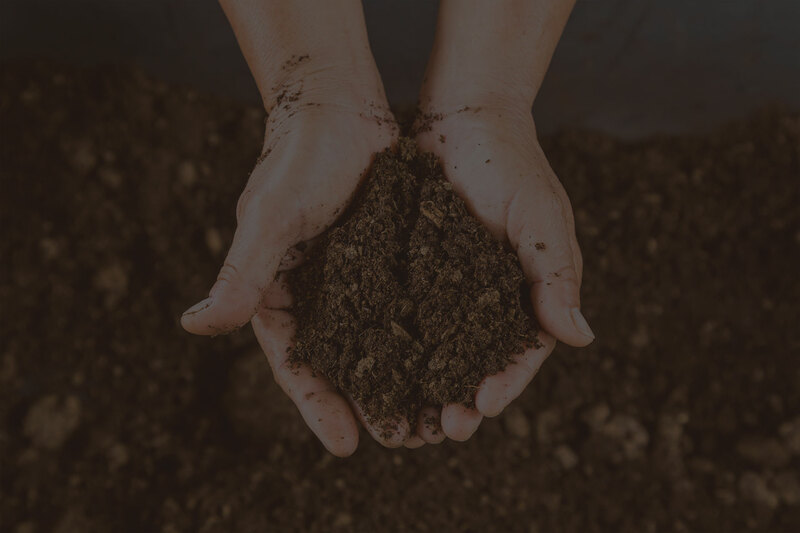 In this course, we will be assessing Composts made from the week prior as well as Composts that are available onsite or that students have brought with them. We will make a Compost extract and apply it to the land. Spray equipment will be tested to assure that biology is getting out of the equipment successfully. We will also assess and apply the Compost tea made from the prior days course. A new compost tea brew will be made for the following days course work. This course day will be a summary of the last week and a half. We will assess the Compost brew from the day before and apply it to seeds and to land. We will brainstorm additional product creation and applications methods. We will celebrate our time together and our future of regenerative agriculture. Molly C. Haviland is the founder of Haviland Earth Regeneration, L.L.C., a soil building company. The goals of HER are to build soil as quickly as possible, grow food that is medicine, and train others to do this for themselves. By the end of this decade, soil food web knowledge and soil building practices should be common knowledge. HER is the catalyst for making this happen. HER trains, consults and lectures across the USA and usually goes where invited. Invitations have come from across the globe in Hungary, South Africa, New Zealand and Turkey. Most of the trainings are for large scale annual agriculture in the Midwest USA and to compost operations. The strength of HER is in teaching the basics of soil food web knowledge and practical applications of making the composts, assessing and applying them. In 2010 Molly attended a month long course from Dr. Elaine Ingham while attending the Maharishi University of Management, where she earned a Bachelor of Science Degree in Sustainable Living. Molly continued to work with Dr. Ingham at the university for two years as a teaching assistant, three years as coteacher, and one year as a full time teacher for the month long Living Soil Course in 2016. During her course work, Molly created a work-study position in the campus greenhouses as a Soil Builder and maintained that position for one and a half years. Her work was focused on making hand turned quality Composts. After completeing her work in the greenhouse, Molly took ownership over The Living Soil Compost Lab. The lab made Composts, extracts and teas as well as ran qualitative analysis on soils, Composts and soil products. The lab held training courses for students and farmers. This work eventually merged into consulting with farmers in the Midwest America and branched out into the globe. Training will be held in clear, simple english. There will be no consecutive or simultaneous translation into Turkish. Intermediate level of english will be good enough to enjoy the programme. You can bring soil and/or Compost samples from your land. We will have the opportunity to examine these samples under microscope and investigate the Soil Food Web within. Instructions on how to take the samples and safeguard them will be shared within the “Participant’s guide” that will be emailed to the participants a priori the trainings. A set of criteria for the microscope suitable for this training and followup work will be shared with the participants in the “Participants’ guide”. Anadolu Meraları also will do its best to facilitate/organize bulk-buying of microscopes. If you’re interested in that, please state so in the registration form. Molly Haviland defines Compost as a material that it living and therefore has the ability to create fast and effective regenerative impacts on all practices of agriculture. The “compost” with a lower case c is defined as the relatively low-quality product that we prepare mostly for recycling our organic waste. These are average of the points given by 14 students anonymously online, following the training. There is limited number of seats available for the training. The training fee includes the tea/coffee breaks and lunch. In case the training venue is suitable, there will be also camping possibility. You can chose to pay half of the training until the dates mentioned above, to finalize and secure your registration. In that case, you need to pay the rest of the fee until April 14th. For this training, the refunding is possible only in case of cancellation of the training by Anadolu Meraları due to not-enough number of registration until April. In such case, the whole amount of paid fee will be paid back to the participant. Detailled information and guidelines will be provided in early Spring through the “Participant’s Guide” that will be emailed to the participants. We are working hard to suggest and organize a full array of accomodation for different budgets. Transportation is quite easy to the town where the training is happening, with the international Dalaman Airport. We’re aware that today’s Turkey provides a number of reason to have doubts and fears on safety angle, yet the training will be held on rural/semi-rural setting, which is very safe in all aspects. Go to this link: http://anadolumera.com/yeni-egitimler/ the form to apply for the training. We will send you an email within a day or two and will provide all the information for you to finalize your registration.